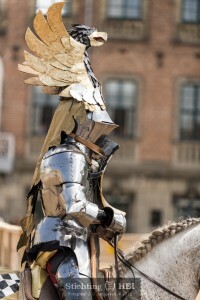 If you are looking for Knights to hire for your event, you have come to the right place with Foundation HEI. Our Knightly Tournament is based on facts from the 15th century and thereby combines a great show with grounded knowledge. Next to this we also offer other historical shows and demonstrations for your pleasure and wisdom. Please have a look at what we have to offer. We are happy to talk with you about your wishes and see how we can provide you with what you seek. Just drop us an email.